I can't believe it. 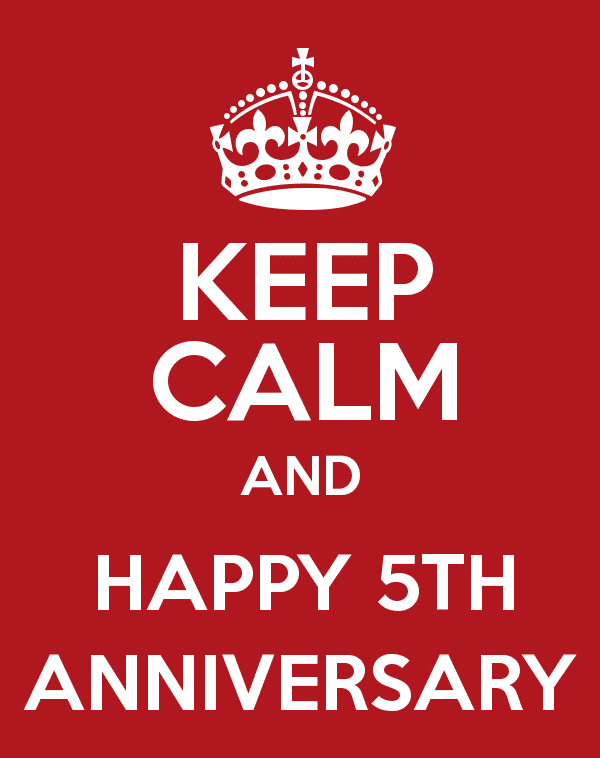 Southern Matriarch is Five Years Old! It has been an amazing ride. 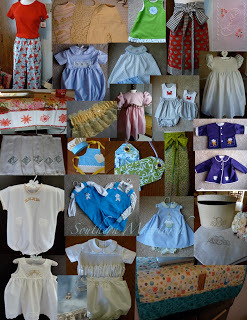 My goal was to share sewing, smocking and a little life thrown in. I hope I have accomplished that. Sometimes the life has gotten in the way of the sewing. That is nothing new is it? Life has a tendency to do that. For a recap, I went back and found the year in review posts I had done. Life might have been busy, but man oh man, there has been a lot of sewing too! For a total of 48 items. Not too shabby for a partial year. I don't have pictures before March of that year. A total of 98 items! Now I realize the pattern weights weren't a very time intensive thing, but still 47 of them!!!!! Now that sounds impressive. Besides, the christening gown and tutorials more than make up for the pattern weights. Update: I think I should have made that 8,766 hours being thankful! 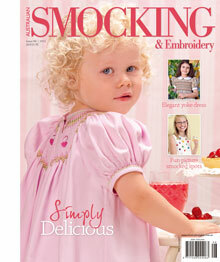 1 design being published in Australian Smocking and Embroidery!!!!! Go me! welcoming baby brother right before Thanksgiving. What a gift to be thankful for. Embroidery on "Liberty Rose" Inspirations #71 as well as signature square to insert into a friend's throw. NINE pair of Santa PJ's. 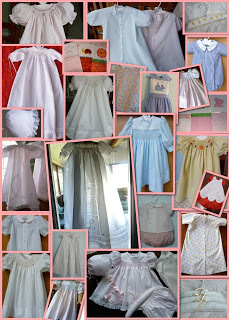 Once again a very busy year sewing and smocking for three grandchildren. Add to that 2 trips, 2 workshops, 2 baby showers and it promises to be a busy year. THREE HUNDRED FIFTY ONE Items!!! It has been a wonderful ride, I hope you have enjoyed it as well. In the past five years, what has been the biggest sewing accomplishment you have achieved? Did you learn a new skill, finish a challenging project, start a sewing business? What was your highest achievement sewing wise in the past five years? Leave a comment here, no email entries please. Look for more giveaways coming. 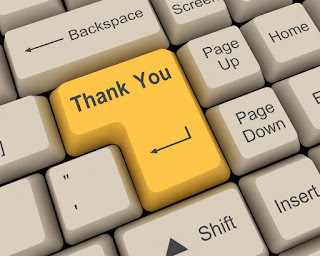 Thank you so much faithful reader. It has been you that has made it so fun over the years. And Good Luck! My biggest single achievement has been repairing the bridal gown for my oldest daughters' wedding last September. Twenty-five hours of love-filled stitching to repair a sample gown that was full of holes into the stunning designer lace gown it truly is! I've tried lots of new things in the last 5 years that include making 3 completely diferent flower girl dresses with varied new (to me) techniques, finishing 11 christening gowns ( all one of a kind)for people I love, and buying a new embroidery machine and embarking on that addiction! My skills have improved exponentially, due in part to the association with my smocking guild and tapping the expertise of trusted and gifted friends in my group! Thank you for your tremendous blog and excellent tutorials! They are referenced often! Wow 5 yrs how time flies !!! My biggest accomplishment was winning Grand Champion in the sewing category at the Washington State Fair and receiving a Bernina as the prize. The most enjoyable was seeing your grandchildren wearing my handmades. Not my biggest accomplishment in the last five years, yet the most rewarding is that I started sewing group. I always used to sew alone and wanted to have "sisters" to sew with me. None of my sisters enjoy sewing. This has turned out to be the best time! I have made good friends out of acquaintances. Over time it has come to be a core group of six of us. It has expanded my sewing. We laugh more and share techniques. It has brought me some good friends to play, laugh and share our love of sewing. I do not know how you have time to maintain a blog! Congratulations on your anniversary! My biggest accomplishment was teaching a beginner heirloom sewing class at a local shop. I've never taught a class before and I was shaking in my boots, but everything seemed to go well and the shop owner asked me back! Thanks for all your inspiration--love your pictures! Congrats on your anniversary! I love your blog and it's a great inspiration. 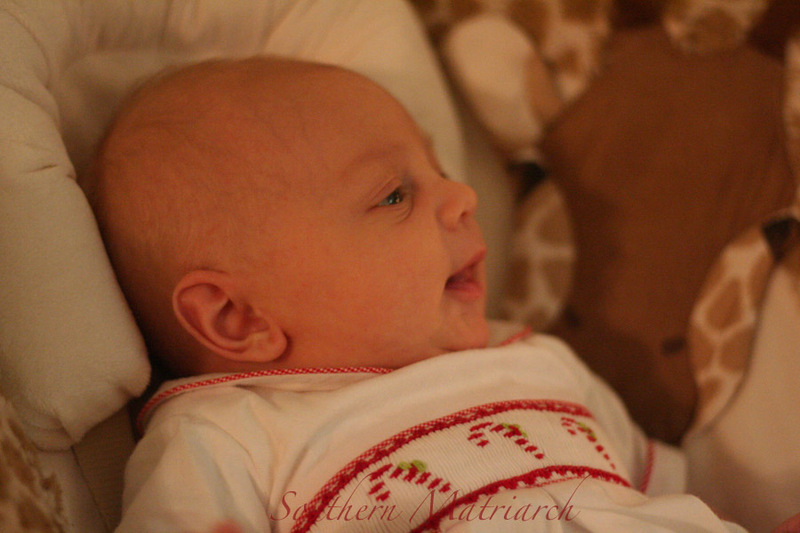 My biggest sewing accomplishment was sewing a christening gown for my third child. It had smocking and lace insertion (which I had to teach myself) and took over 100 hours to complete. I did this while taking care of a 3.5 year old and a 2 year old. Whew! But it was stunning. Congratulations! I am so impressed. Every time I sit at the sewing machine or day dream about what to do next, I think it will be bigger and better. I know that my project for October 2 - 15 will be the best. I will be in Uganda teaching women there to sew for themselves. I will be assembling kits to take with patterns, fabric, pins and needles, scissors, etc. I am so excited about being able to give my skills to women who desperately need to be able to sew for them selves. Thirty years of college teaching has prepared me to teach and 55 years of sewing gives me the skill that I will teach. And Martha, don't forget to add Martha Pullen's School of Art Fashion to your list of accomplishments for this year. Congrats on your anniversary. I love reading your blog. You have a great sense of humor and seem to do a wonderful job of keeping the craziness of life in perspective. My biggest sewing accomplishment is that during my first year of retirement I completed my sewing magnum opus: all 225 blocks (4.5" square) of the Dear Jane quilt. I've been sewing for 35+ years but I learned so much about applique, paper piecing, design and color and precision sewing in general. At a quilt retreat in November my goal is to get all the blocks put together . Thanks for the chance to be in your giveaway. Thank you for the lovely give away chance! My biggest accomplishment these last five years has been my two teenagers. Five years ago my daughter was a freshman in high school and this year she was a freshman in college. My son is graduating from high school in three weeks. They are amazing and such a blessing (and NO TROUBLE!). 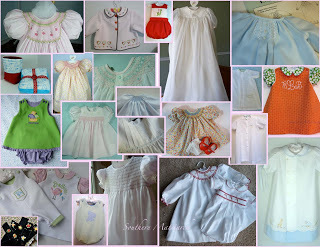 Sewing-wise I have made many smocked and embroidered outfits but the most important items were the two first communion dresses and the one christening outfit. Your blog is my 'go to' for fun and inspiration Be proud, I don't read many! 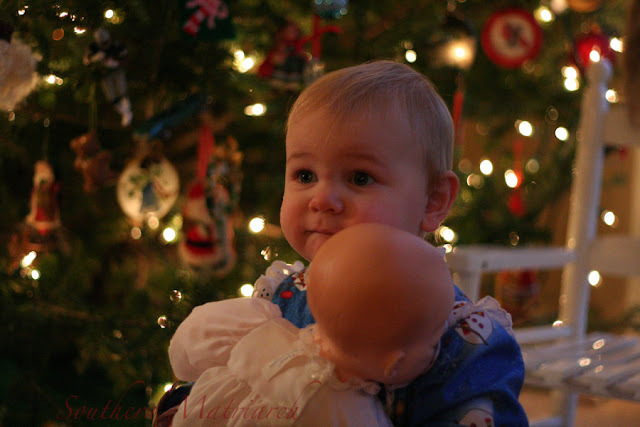 Its been fun seeing your Grandchildren grow and dressed as little ones should be! I'm proud of the fact that I've been more involved with my local SAGA guild the past several years. Also kuddo's to me for the finished projects, one of which is a daygown that I completely stitched by hand. This is from a person who loves sewing pieces of lace together on a machine, but the hand work proved to be fun and exciting. I learned alot making this sweet little gown and it went faster than expected. I retired last year, and my biggest accomplishment with the time I now have was to teach myself heirloom sewing techniques and smocking. I have done both and have been sewing up a storm for my great nieces. The 2yr.old always telss me she is "pretty" as she twirls in her dresses. She loves them! It makes it all so worthwhile! Wish I had learned this when my daughter was small. Oh, well. I can honestly say that my biggest accomplishments have come from things I've read and learned on your blog! I am so proud that I've learned seamless pleating and piping a neckband - those two things have made me so much happier with how bishops turn out now. But I've also learned how to put bishop sleeves in the round, some great piping tricks, and am about to try your tips for a shell hem. As one who really can't afford to attend schools/classes, I am so grateful that you are willing to share your expertise with all of us. 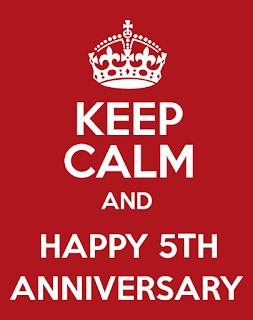 Thanks so much, and congratulations on 5 years!! Congratulations on your wonderful blog. To think, I met you before I even knew what a blog was! My biggest sewing accomplishment in the last 5 years has been to stray mightily from heirloom sewing. I made lined and interlined drapes for my living and dining room which was a totally new challenge in measuring, calculating and sewing. The sewing wasn't hard, but managing the yards and yards of fabric for each panel was not fun. I figure I saved us $10,000. I have also slipcovered a couch and am making costumes for my niece's play The Merchant of Venice (a Portia dress, bloomers for the guards, and an Elizabethen collar for the visiting Queen (wink wink). My sewing machine doesn't see as much batiste but it still hums along. from Celeste Y because I don't know how else to sign my name. I think my biggest sewing accomplishment was not in what I made but in what I have done and that was being able to take my duaghters to Martha Pullen's SOAF Kids School and teach them some more at home. I also had some other randome lessons here and there for other people such as my daughter's Girls Scout troop, a friend of hers who spent the night and sewed some pajama pants and another friend who gave my daughter flute lessons in exchange for sewing lessons. Now to just make a little more time to do more with them!! Just posted on my FB page. I hope you keep writing for a good long time-love your tutorials!!! Many congratulations on your anniversary! And it is VERY inspiring to see how much you've accomplished over the years. Actually it makes me feel just a little inadequate, but I can still try! My biggest accomplishment in the last five years would have to be a hand embroidered picture that I made for my daughter's wedding, which I made in the midst of lots of house issues as well as taking care of an elderly Aunt. It took me over 100 hours to do. I also taught myself to smock and I LOVE it! Congrats on your anniversary. Look forward every day to what you might post. My greatest accomplishment in the last 5 years..... 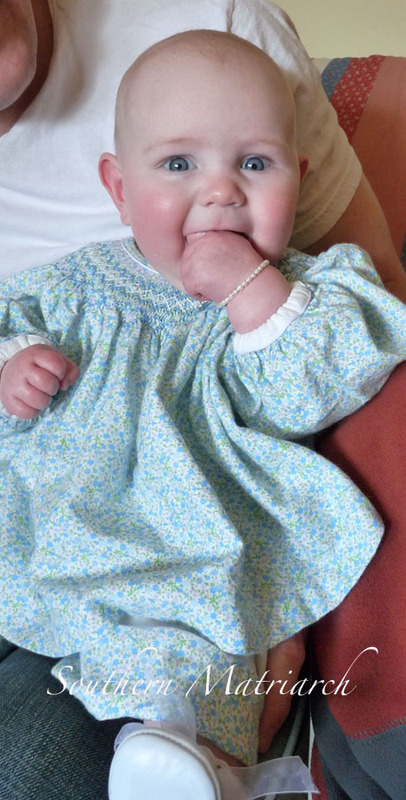 I made a christening gown for my great niece out of her mother's wedding dress. Even made a bonnet and booties to match! Many of the techniques I used came from your blog and classes w/CF and GD. 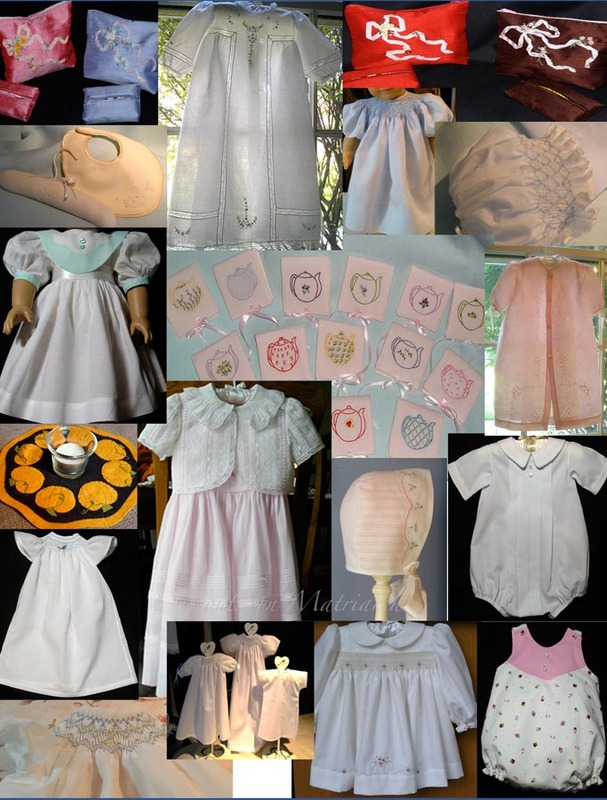 I have made four christening dresses, five baptism dresses and seven baptism jumpers in the last five years. I have made to many party dresses to count, not to mention all the smocking. I think my biggest accomplishment would have to be the quilt I made two years ago. I was applique and amazing. 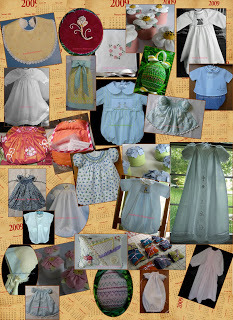 Your blog has provided enjoyment and inspiration for me as I sew for my grandchildren. The past five years have been a slow return to sewing for me, as I was unable to sew for the eight years before that due to a chronic illness. I'm not nearly as productive as I used to be, but I feel so blessed to be able to give "made by grammie" clothes to four little ones. My mom made everything I wore, and sewing is just a very important way to love in my family! Sewing for twin granddaughters has been both fun and a challenge, as when I complete one garment, I start all over again! My biggest accomplishment was a simple boy's christening gown on which I pinstitched for the first time. With so many blogs and amazing sewists to admire, I'm trying to learn not to compare my work with others but to appreciate even the small accomplishments and the ability to see and use my hands to create. I have loved reading your blog since stumbling upon it about 2 years ago. Your piping tutorials are the best. I don't know if I have a greatest sewing accomplishment, but do have 4 grandchildren that I pretty much dress. I have loved every minute of it! I finally finished an heirloom dress for my granddaughter, even won a ribbon for it! Wow! Congratulations to you!! My most noteworthy SEWING accomplishment has been learning to smock. Thank you for the wisdom and inspiration you've shared here over the years! My biggest accomplishment in the past 5 years was winning the grand prize in the State Fair. 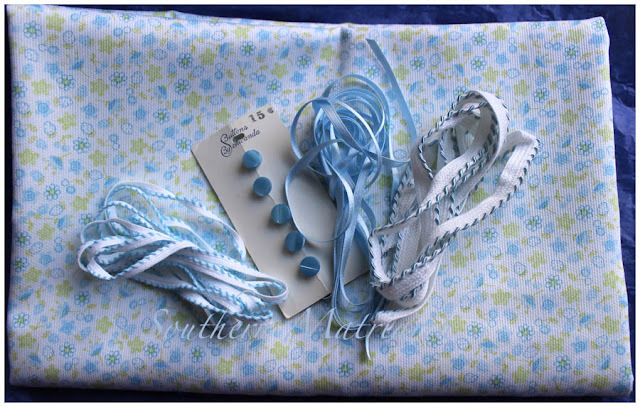 For the most blue ribbons I won a BabyLock Sofia Sewing Machine. I have no grandchildren yet, but an overflowing grandbaby hope chest! Congratulations Martha! I love reading your blog! It inspires me. My biggest achievement in the last five years was buying a big fancy sewing machine. I haven't done a lot on it, but I have managed to get birthday dresses out for the granddaughters. I'm looking forward to the days of really having time to play with my new toy. 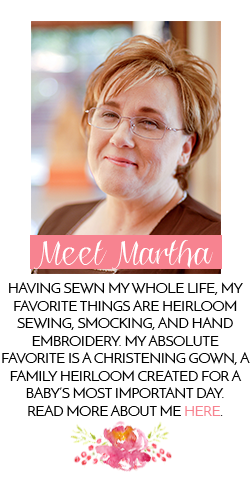 Congratulations and Happy Anniversary Martha! I do so enjoy your blog... it lets me feel as though we are in the same place having a conversation. I have loved being in class with you. I also have loved watching your grandchildren grow through this blog and seeing their wonderful outfits. My biggest sewing accomplisment in the last five years has required a stray from smocking. Three years ago, I accepted the challenge to think outside the box as I costumed our church's youth musical Seussical. It was fun to create fun whimsy filled costumes. This fall I took a Tutu class and learned a lot about drafting and fitting. The lessons were put into practice this spring as I completed three pieces for my daughter's ballet studio....learning a lot along the way. For years I have struggled to learn how to do the beautiful heirloom sewing techniques I see in Sew Beautiful and on many of the blogs I follow. My sewing machine was an older model but had all the bells and whistles when I purchased it. Last fall I had the good fortune to attend the SAGA convention in Atlanta. I took a great many machine classes from Carol Ahles. May I just say she is a godsend ! As I struggled through one of her wonderful classes feeling like a total dunce, she stopped by and quickly noted my machine did not have the capablity to do the stitches we were learning the techniques for. It wasn't me ! Yeah! I was so relieved ! I came home, did some machine reseach and purchased a beautiful new machine. I love that I can sit down and easily make beautiful heirloom items. I even went back to the shop and purchased the embroidery module ! One simple class with one wonderful teaching has so changed my life ! My first embroidery class is this weekend and needless to say I can not wait !! Thank you for your inspiring blog ! I love seeing your lovely work and hearing about your darling family ! I enjoy your blog so much! My biggest sewing accomplishment would have to be prom dresses for my girls! I made 2 last year and just one this year. I have learned a lot about fitting curves and "bumps". I think I prefer smocking little dresses! Congratulations on your blog anniversary. Wow lots of sewing. I haven't kept track of my sewing but I have a wardrobe with lots of completed items. Although I have been sewing for years my biggest accomplishment has been educating myself by attending SOAF plus other classes by "big name" teachers to learn finer details of smocking/heirloom/embroidery sewing. I can honestly see the huge improvement in the quality of my work since taking these classes.